Providing innovative phone-based and online communication solutions for clients to engage a targeted universe and achieve measurable action with ease. Reach Out / Communicate / Engage. Innovative / Easily Deployed / Proven. Let’s talk about your communication goals and how The Contact Group can help. Call/Text (703) 725-8608 to set up a time to chat. Hold a tele town hall assembly as a productive and cost-effective alternative for a speaker or panel of speakers to address large groups of geographically wide-spread participants. Individuals are given the opportunity to tune in to speeches, voice opinions, ask questions, exchange ideas, and listen to the host’s responses from anywhere. We bring experience for registration, pre/post call, reporting, and taking the engagement to the next level. Contact us so we can help you attain desired results for your communication goals. What is a Telephone Town Hall Assembly? All of our clients benefit from Telephone Town Hall Assemblies to stay in touch with their constituents. On 12/12/12 TCG hosted a teleform with EPA Administrator, Lisa Jackson. 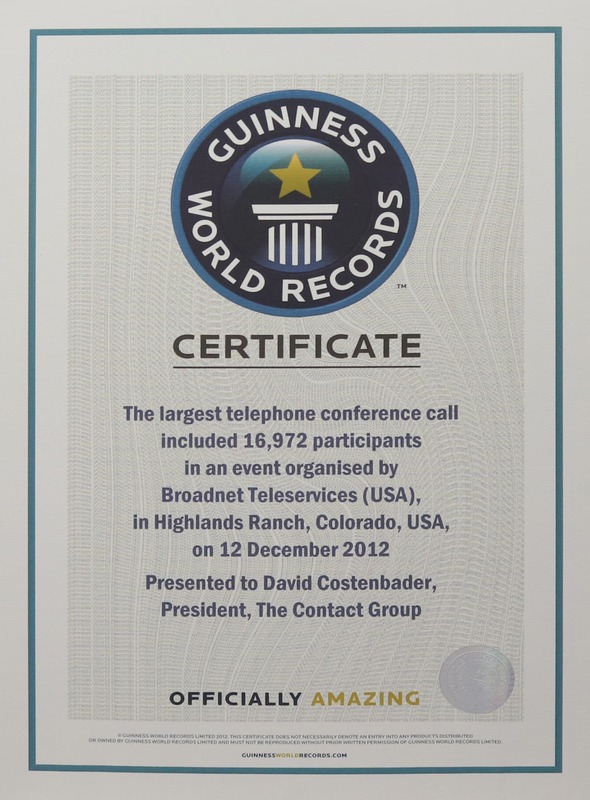 The spectacular event won a Guinness World Record for largest conference call in history. Live agent solutions can play an integral role in an organization’s constituent and customer interactive communications plans, allowing for a dynamic two-way conversation which relays critical information to the targeted information and gathers their feedback. Clients can productively use TCG’s live agents based in call centers within the US to win elections, grow constituencies, conduct surveys, shape legislation, provide online customer service, and mobilize grassroots supporters. A key TCG differentiator is our large live agent capacity & their capability to legally contact target audience’s cell phones. We provide a convenient way for people to voice their opinions to members of Congress & State legislatures. Our well-trained live agents contact people across the country, allowing them to connect with elected officials to discuss important matters, such as current legislation, nominees, and budgets. Ex: Business Forward Legislation passed in 2017. Organizations, large and small, often need to quickly mobilize agents to inform constituents or members about events and activities. Examples include: Responses to a political opponent’s messages, Get Out The Vote (GOTV) activity, mobilizing members and supporters for a cause, and addressing widespread concerns from constituents. Live agents are an excellent resource for implementing outbound polling and survey programs that support your opinion research and gather insight about your target audience. TCG has been a leader in the micro-targeting approach, which was used extensively in the Obama campaign in 2008 & 2012. We measure, analyze, and report your phone call program results and the performance of our agents to evaluate the effectiveness of our client teleservices programs. This information is provided during the program’s activity and immediately after it’s been completed. Our reports and agent supervision help guarantee your interactive communication goals are met successfully. Who is The Contact Group? The Contact Group is a teleservices consulting and management group founded and operated by David Costenbader. 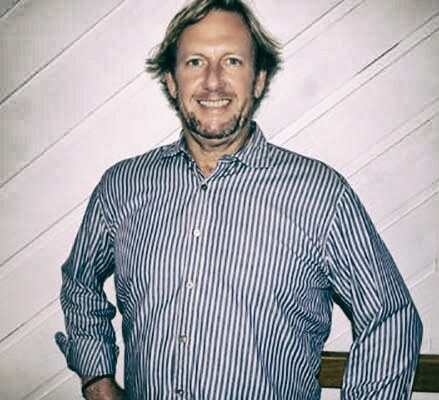 David played a pivotal role in the development and growth of privately held company, Price Interactive, which became one of the largest automated platforms and teleservice businesses in the industry. Price Interactive was sold to a public company, iBasis, in 2001 for over $119M which led to the inception of The Contact Group. Over the last ten years, TCG has grown into one of the premier teleservices firms in both campaigns & elections, as well as non-profit sectors, by relentlessly assisting them to attain their annual communication goals. Accolades span to winning a Guinness World Record in 2012. 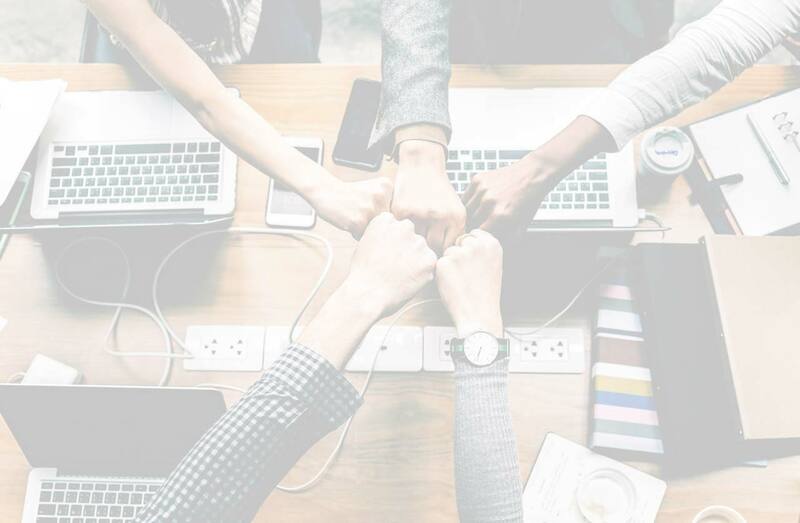 We place high value on executing programs while quickly adapting to changing needs and challenges, which is why we have a history of mutually beneficial, trusting, long-term relationships with our clients. Our experience and track record speak volumes. We fight the good fight with our clients, are passionate about what we do, and are proud of the results delivered. David Costenbader founded The Contact Group in 2001, providing innovative phone-based services and online multi-media communications solutions to help clients win elections, shape legislation, inform constituents, and measurably improve outreach effectiveness. Formerly at Price Interactive, David spearheaded business development, leading the company into the campaigns and election space, as well as expanding to Fortune 500 clients. David’s company ethos at TCG: focus on client needs and meet those needs with a results-driven core team, allowing continued success and long-lasting relationships. We have worked with TCG for over 10 years and chose TCG in March, 2018 to call our targeted audience with their professional live agents and survey that audience on the issues most important to them. We utilized that key data to construct our communications strategy going forward and won our campaign for local alderman/representative. They implemented the program quickly, provided daily reports and finished on projected budget. Using The Contact Group we were able to successfully connect the Secretary with thousands of USDA employees from across the county in an interactive forum, where they were able to comment and ask questions.